Neither bread nor pastry, brioche is hard to resist thanks to its rich and tender crumb and flaky crust. 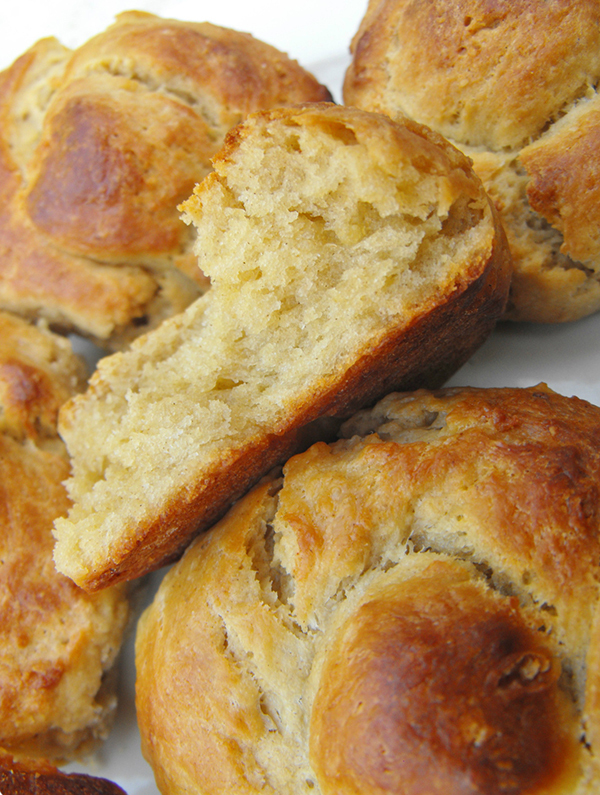 Here’s a vegan recipe that yields soft, fluffy and buttery rolls without the eggs or dairy! Neither bread nor pastry, brioche is hard to resist thanks to its rich and tender crumb and flaky crust. 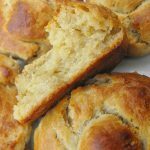 Here's a vegan recipe that yields soft, fluffy and buttery rolls without the eggs or dairy! Roll each piece into a ball and place evenly apart on the base of an 8″ round cake pan. Cover the cake pan with a tea towel leave to prove for 1 1/2 hours in a warm place before baking brush with soy milk. Bake in the oven at 180c/350f for 20-25 minutes until the bread turns a glossy dark golden brown on top.